The new backing is led by TPG Growth, and brings Calm’s total funding to $116 million. 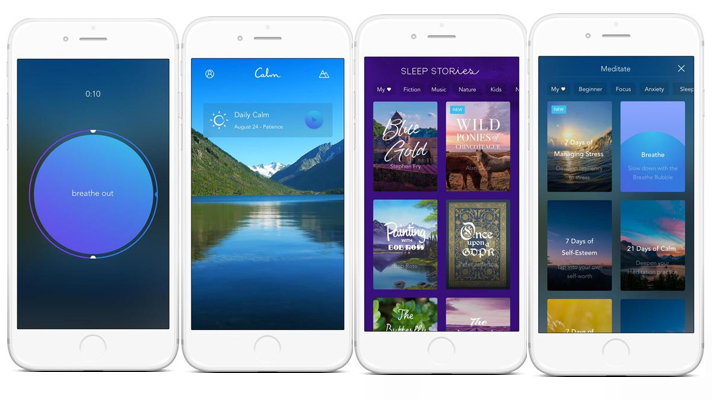 San Francisco-based Calm, developer of the meditation and sleep app of the same name, announced this morning that it has raised $88 million in a Series B funding round led by TPG Growth. Creative Artists Agency also participated in the round alongside existing investors Insight Venture Partners and Sound Ventures. The new backing brought Calm’s total funding to $116 million and, according to the company, brings its current valuation up to $1 billion. Cofounders and co-CEOs Michael Acton Smith and Alex Tew founded Calm with the intent to build a guided meditation app. In the time since, the company has added a number of additional features to its free and subscription offering including a breathing coach feature, "sleep stories,” designed to help users fall asleep; a collection of soothing songs called Calm Music; and audio classes called Calm Masterclasses. In addition, the company has released a second app, called Checky, that helps users keep track of how many times they've checked their phone in a day. Calm said in its announcement that it quadrupled its revenue in 2018 and is currently on pace for $150 million in annual revenue. The 50-person company also reports more than 40 million downloads of its product, with more than 1 million of those being paid subscribers. Calm may be the latest and loudest when it comes to venture-funded meditation apps, but it certainly isn’t alone. Simple Habit capped off a $10 million round back in November, while Headspace enjoyed a $36.7 million raise in July 2017. Activity in the meditation app space hasn’t just been limited to funding deals either. Meditation app Meditation Studio was acquired by EEG headband maker Muse in September. That same month, Headspace announced its acquisition of voice-enabled AI system Alpine.AI, furthering the former's development in personalization and conversational products.